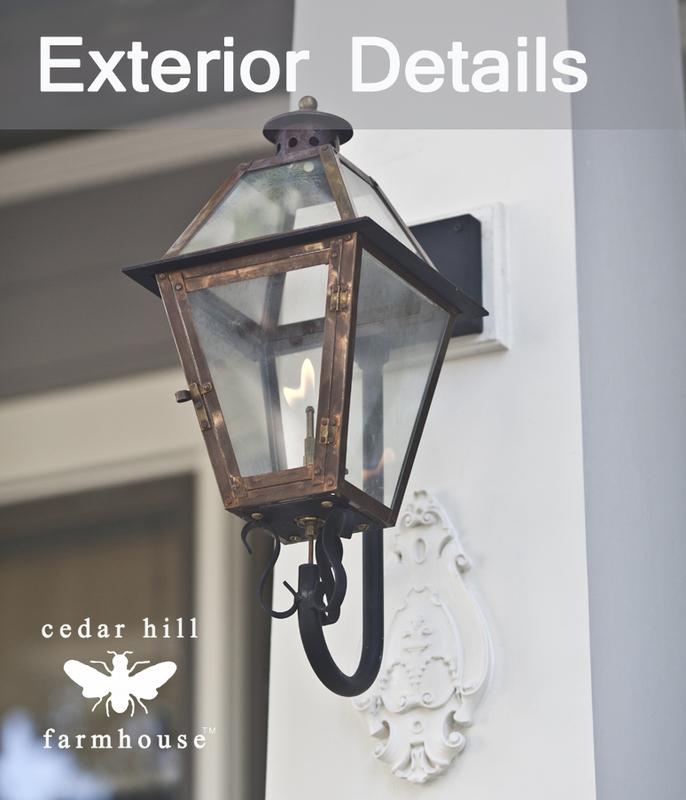 Today I wanted to show you some of the details we selected for the exterior of our home. 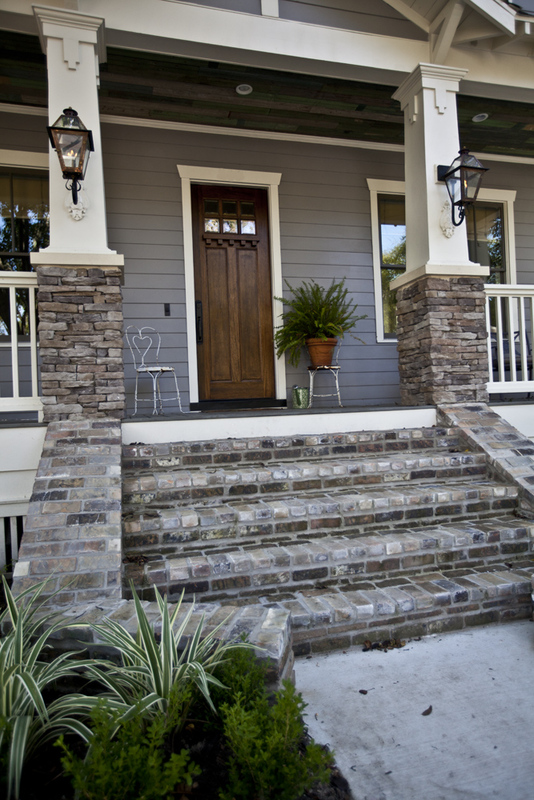 We used a gray brick for the front steps that coordinates with the gray stone used on the columns. I’m really happy we went with the brick steps. Although it was a significant expense, I think it really adds to the front of the house. Of course one of the things that people notice the most are the gas lanterns. This was another upgrade that I feel was so worth it. Did you notice the detail on the column underneath the gas lantern? Well the gas light had to be moved up so rather than replace the entire face of the column we came up with these applique pieces to cover the old holes. I think it added a nice detail to the columns while saving money at the same time. The front door is 8 ft tall which also helps give the front of the house presence. Below you can see the front door handle. I love the detail the carpenter added to the top of the columns. So when my house was in construction at some point a cheap white plastic door bell button was added probably to pass inspection while I decided what I wanted. Meanwhile the builder showed up and gave me a hard time about having such an ugly door bell button. It was funny, but it made me think a lot about my door bell and how I really wanted a cool button. So I found this one, which I thought was way cool. The rusty old chair I have on the front porch was a thrift store find at $5. I also needed a mail box that could be locked (We are in the city after all) and I needed something that could be reached without entering the gate. We had this Victorian one mounted near the front fence. It is pretty and very functional. The postman adds letters in the front slot, and I can open it with a key from the back. It’s not as convenient as the basket I had on the front porch, but the basket wasn’t very secure. I hope you got some ideas that you can use on your home. 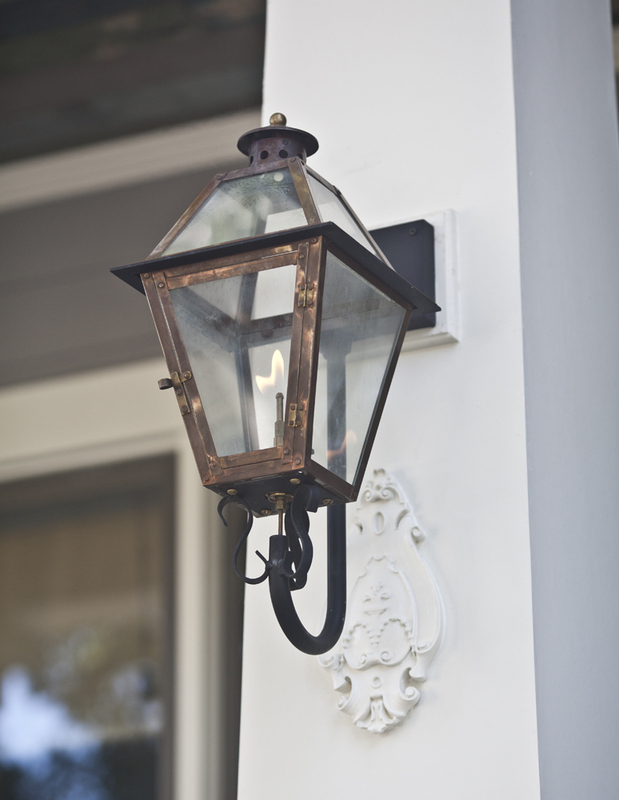 I know it’s not practical to add gas lanterns to many homes, but a door bell button is another thing. 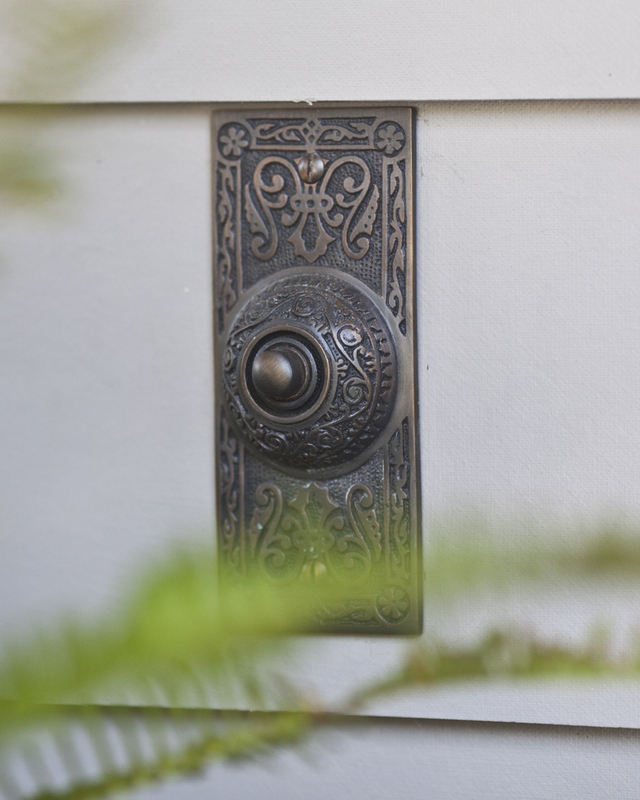 I love a unique doorbell and put bought one online when we built a home and then again when we moved to our current home. It’s a metal Celtic knot on top of a stone plate. Our other one was a bird and a birdhouse. So many neat ones to choose from. Love your door handle! Well, it’s official. Your house is as gorgeous on the outside as it is on the inside! I never doubted it would be! I love everything! Love your doorbell and that mail box! you have such wonderful taste. You have such an impeccable taste! Although I enjoy EVERY one of your posts, I particularly like this one. We bought an 1820 farmhouse (that I just started blogging about) and there are 2 front porches, both of which are coming apart and need a desperate facelift. I love your brick stairs! I’m thinking brick may look good on our porches. I’ve got a little time to think about that. 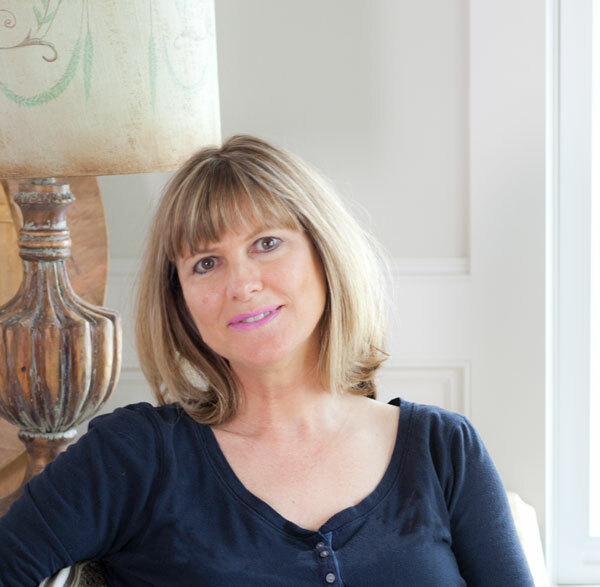 I do really enjoy your blog, and I always look forward to seeing your latest posts. 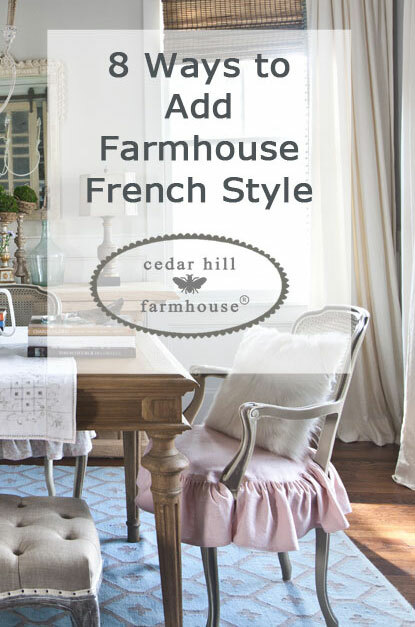 Your home definitely has that “quaint” feeling to it. I love the gas lanterns but especially love the door handle and doorbell you picked out. Very nice! We had gas lanterns on our last house and oh how I miss them. Please allow us to see the entire exterior of your house – I can tell from these details that it is absolutely stunning! I love to see a post about the exterior. So many bloggers “don’t go there” . Its a beautiful home, inside and out. Beautiful details! You have a such a great eye! Really like your beautiful mailbox and door bell. Gas lanterns are pretty ! We have one but found they cost so much every month. The one lantern is $50 a month. I would like some beautiful large urns by your door. Every detail of your house is so beautiful. ewwww….I have an ugly doorbell…ok, that’s it….I am going to have to start looking for a cool one. Thanks for sharing!!! So beautiful, Anita! I love every detail! The brick you chose looks perfect with the stones on the columns. Love those lanterns and the extra detail up you added behind them. 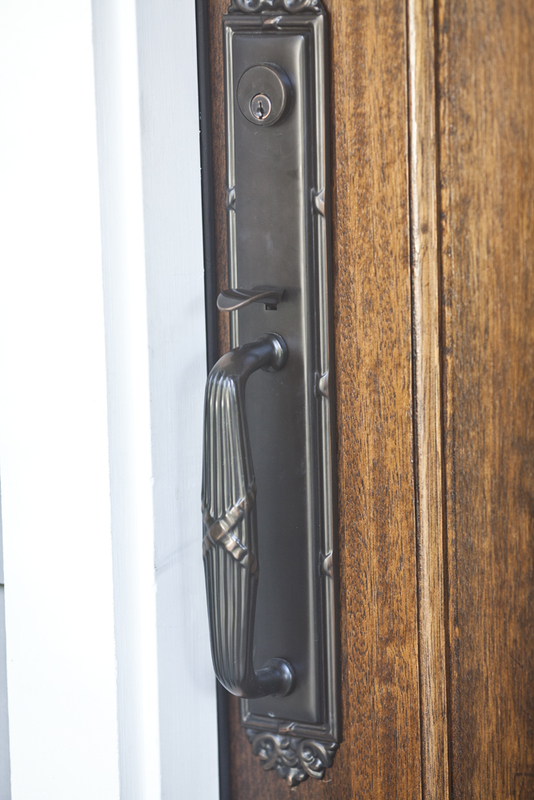 Your entry door handle is very attractive and so is the new doorbell! I like that mailbox idea- it’s attractive and makes a stately impression! Anita everything works so perfectly together. Wow you have made some amazing choices! Love the brick and the detail on the columns. 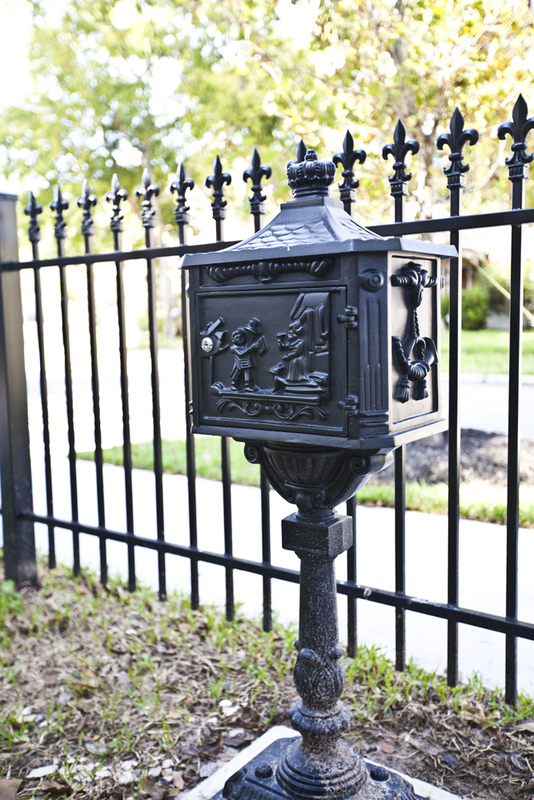 The gas lanterns are simply stunning and that mailbox is fabulous! Love it all!!! Enjoy and have a great Sunday!!! Very clever to conceal the hole with an applique, dear friend!!! Looks as if it were a planned feature!!! LOVE the handle, and the door bell!!! All~righty…it is settled. . .
I’m looking for a replacement to my plastic mailbox here on the Prairie!!! Gorgeous features used in your home’s exterior!!! Anita, your home is charming. The special touches you’ve added really make a statement. I love the doorbell cover, mine is still the ugly basic white. Do you mind me asking where you found it? Jami, the brick is Texas brick. I don’t think they make this color brick any more. I am not sure of the name of the stone. I would really like to know the name of the stone also, if you can find out what it is. I have been looking for stone to go with gray on our house and this one is just PERFECT! I love the stone and siding and brick combination. Can you share the name of the stone you used and the siding color? What color is this gray? I have just discovered your blog through another blog that links with you. 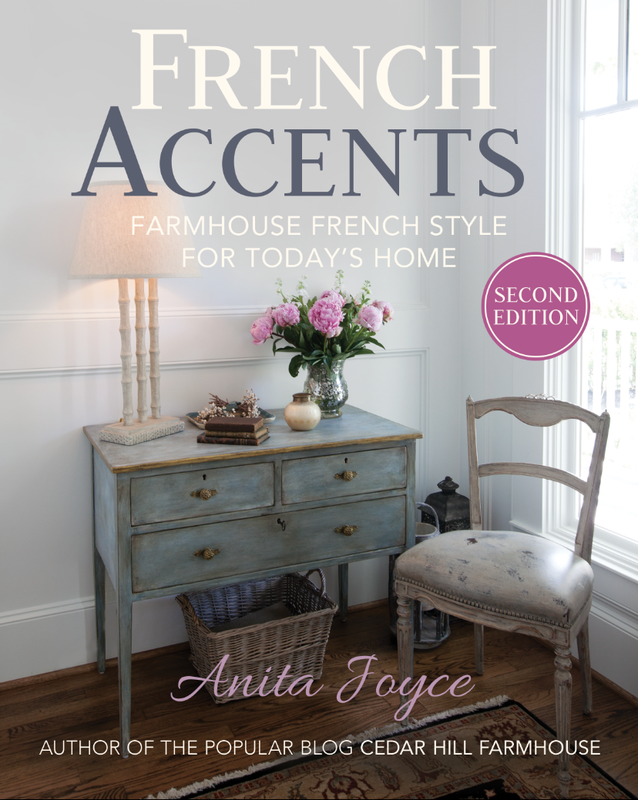 I love your style, I too love French style and try to create moments of it in my cottage but not quite got it right. I have just bought my first DSLR camera and featured a friends house that is Mediterranean style, full of lovely French antiques with olive trees in the garden, you may enjoy it. I have added a link below, I hope you don’t mind me adding the link but it is not my ‘latest’ post and I didn’t want you to miss it. I am going back again next week to take more images as there is so much more to see. I am going to have a look at some of your recent posts, you have some lovely images. Love this…all of it! What is the exterior house color, trim color, and stone type/name? Thanks!! If you don’t mind could you let me know what Brick and Stone color this is? We are in the process of building and I love the way these blend together so well. I think I answered that in another comment on the brick. I can’t remember, but I thought I had it answered in the comments. I don’t know about the stone. What brick did you use? Someone else asked too and you mentioned you had already answered this, however, I can’t seem to find it in the comments anywhere. Please respond! It is so pretty! Kala, it’s Texas Brick. I answered the question and was told the information was incorrect, so I am guessing this brick has been discontinued. What is the color of the house? Everything together is beautiful! Here is the post on the exterior paint colors Carri. I don’t see a link to the post on exterior paint colors. I think it is shingle gray. Gorgeous home! I came across your exterior on Pinterest and absolutely love the color scheme and brick. We are beginning a new build. Would you mind sharing your brick step color/name? I have been looking for something that looks great with gray siding and an ivory mortor and I absolutely LOVE yours! Thanks so much in advance!! I will have to find that info. I am happy to share, but it is going to take some time to dig it up. i would love to have the Name of the stone and brick, also the siding color. Not sure of the brick or stone color. I can’t find that. Sandi, I am going to have to look it up. I don’t know without checking my records. I don’t know. I will have to look it up. That is going to take me some time to find it. I will have to look that up Sarah. I don’t know off hand. I’d love to know the name of the stone too if it’s still available! Melissa, I’m not sure what it is. I too am wanting the brick color. Okay Chris, I will look for it. Your house is beautiful!! Could you tell me where you got your brick or the brand and color? I will have to find that. It is going to take me some time, so please bear with me. I love your house. We’re currently renovating and I love what you did to the exterior of the house. Thanks. I love it. Can you post of picture of the entire front of the house? What’s the color and brand of the stones you used for the steps? It is Texas Brick Jessica. Do you live in Texas? If not, I don’t think you will be able to buy it. Nope Mississippi. Going to another brickyard to look for something today. I can’t find gray brick in ms. I think so. I don’t remember what color, but look at the choices, I don’t think they have but one gray brick Marika. can you verify the color and manufacturer of your brick? Old Texas brick states that your brick is not theirs. I really love your brick. 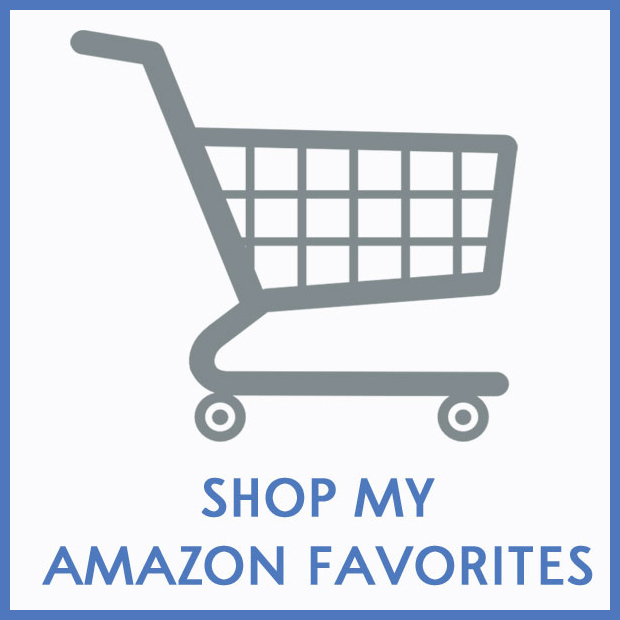 What distributor did you buy from? Hi! I just love those lanterns. Do you mind sharing where you found them? Thanks! It’s just a little place in New Orleans that my builder found. I can’t remember the name. Sorry Jan!! Exquisite. You have the best taste and eye for detail! Beautiful, Anita! I bought a brass dorrbell at Adkin’s years ago and I still love it. Great patina will come all on its own. 🙂 Love your mailbox. We must abide by the HOA and have the same mailbox for everyone in the neighborhood. They are very nice, just boring. Could you please let me know what color stain your front door is? I will see if I can find that. I don’t remember. Not sure if my first comment went through….could you please tell me what color stain your front door is? I don’t remember. I will have to sort through my records to find it. Your door looks just like a door I saw in a Therma-Tru catalog. I’m guessing its a Walnut color…maybe English Walnut? If you come across it just let me know! I would not recommend the therma-tru in Walnut. We ordered this and when it arrived, it looked orange, not brown. English Walnut might be a better option but from the swatches, it looked too light. We ended up going with a completely different door. Thanks for the tip Kathy. 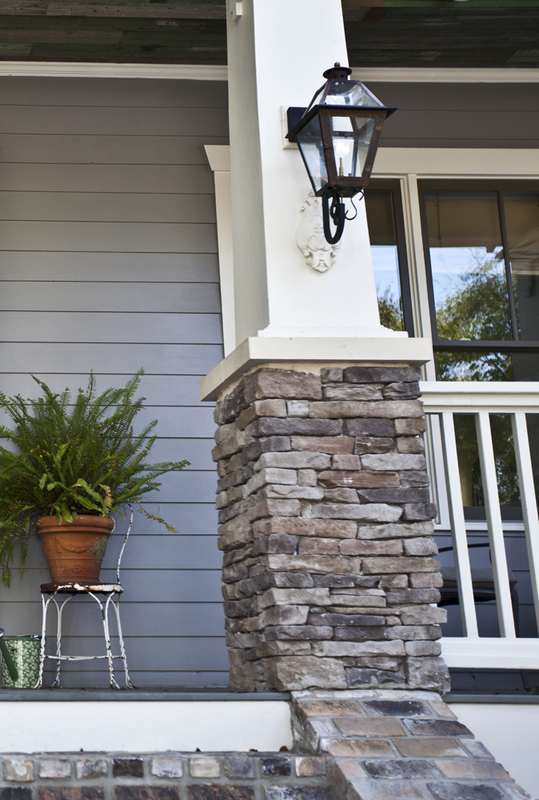 what is the name of the ledge stone (color/brand) going half way up the poles on your porch???? I am not sure Courtney, I will have to dig to find it. Hi! I see this is an old post but I came across your blog from Pinterest. I was wondering, can you please tell me where you purchased your 8 foot front door? I’m having the hardest time finding an 8 foot craftsman style…they’re all 7 foot…thank you!! Tamara, they came from a place that my builder uses. I don’t even remember the name of the place. Where are you located? Did you try to google 8 ft doors in your area? I’ve been looking for something close to this brick since I found your blog and saw your front porch. LOVE! LOVE! LOVE! I wanted to share the closest comparison I’ve found. It’s made by Boral Brick and its called Silver Oaks. Hi Anita. I love the brick color. Were you able to track down the name of it? Your home is gorgeous! Allison, I sent you an email. I was not able to get it, but the builder should have it. If you want to contact them you can. Ridgewater Homes, Inc in Houston. Is there anyway you could send a picture of the entire front of the house. Id love to see it all. We are in the process of building and am looking for ideas. Miranda, I don’t have one online. Hi! We are currently building and trying to find a stone that compliments our charcoal gray siding. Do you know what your stone is called? It looks beautiful against the gray and white. Thank you! Thanks Rebekah. Every time I give information on the brick and stone I am told I am wrong, so I don’t feel comfortable passing along the info I have. Apparently it is no longer accurate or never was. My apologies. Hi! I was wondering if you ever located the name and distributor of your brick? I love it and I’m having a hard time finding a brick that I like. Thanks!! No Holly. I shared what I had in my records, and I was told it was wrong. Sorry! Wish I knew. Absolutely love the exterior colors you picked! Thanks for sharing all of the details. I have been searching high and low, but I was hoping your could direct me to a full exterior photo(s) of the house! I’d love to see how it looks! Do you have them anywhere online? Thanks in advance! Hi! Absolutely lovely home! Do you happen to have a full exterior picture? I’d love to see the whole space. I’ve been searching high and low for a photo, but came up empty handed. Thanks in advance! I don’t Tiffany, so sorry!! 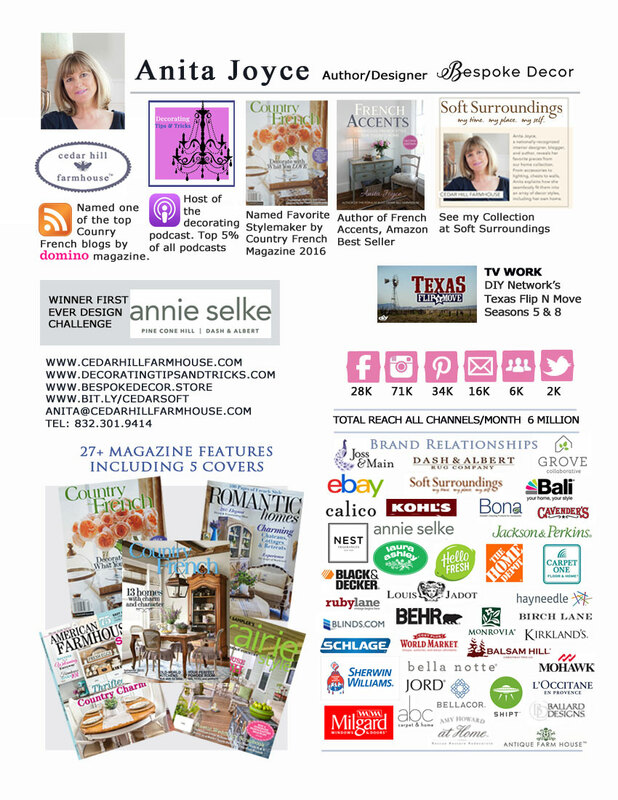 If you look online for homes in the Houston Heights you can see many homes like mine. Can you tell me what roof you have? I saw that there are no full photos of the exterior (which I would love to see) but I love the colors of your house and just wanted to know what roof you decided to go with. We are building a house and I am looking for ideas. Thank you!!! Laura, I don’t remember. It was the gray version, but sorry I don’t recall. Your home is gorgeous!! 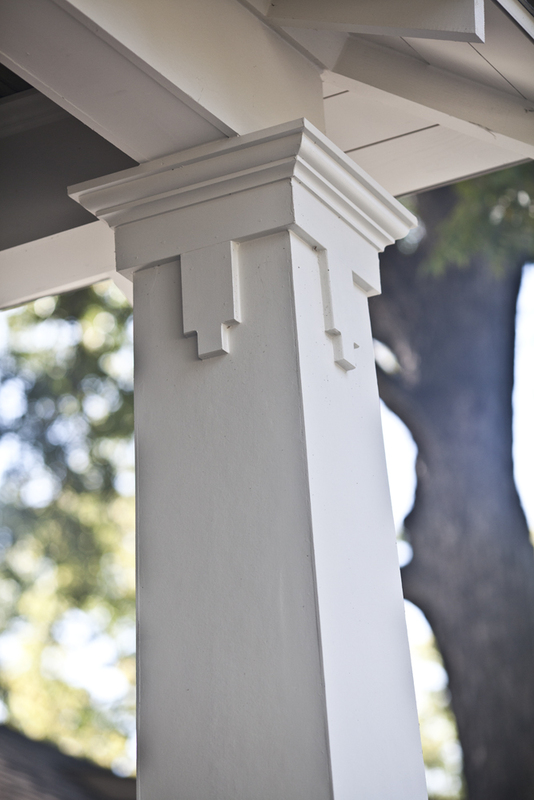 Do you remember what style, color and brand of stone you used on the columns? Cassi, I don’t. Feel free to contact my builder. What kind of siding and what color siding did you use? I’m looking for a similar gray for our home, and not sure whether to go with just the wider vinyl or board and baton. What color of paint is your house? So pretty! I love the gray brick on your front steps! Would you be able to tell me the name of the color of the brick and where you got the brick? and also what color mortar yall used?! It’s Texas Brick from from the stone store on I-10 west of Houston. I’ve forgotten the name of the place, but if you drive by, you’ll see it. I’m with the others commenting on brick! Would so love to know the name of it and the color of the paint and what kind of siding! This brick color is exactly what I’ve been looking for! Beautiful home! 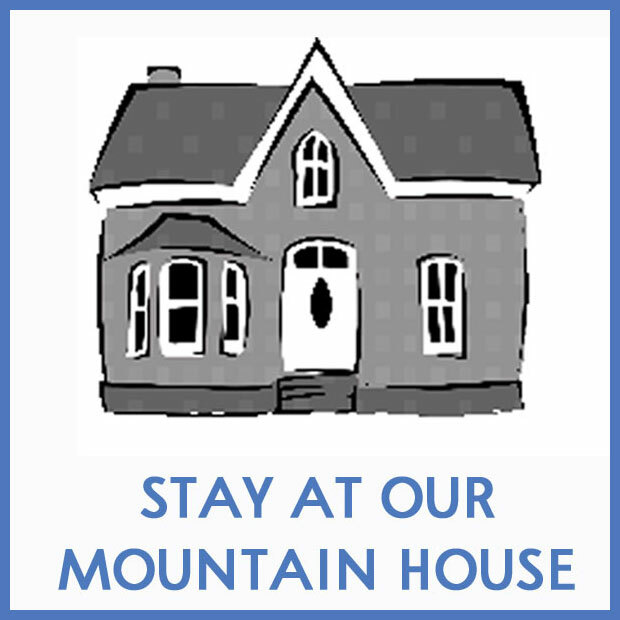 Do you have a picture of your while house ? I am building a craftsman style house and I need some ideas on the building design . I don’t have any photos of it online right now. 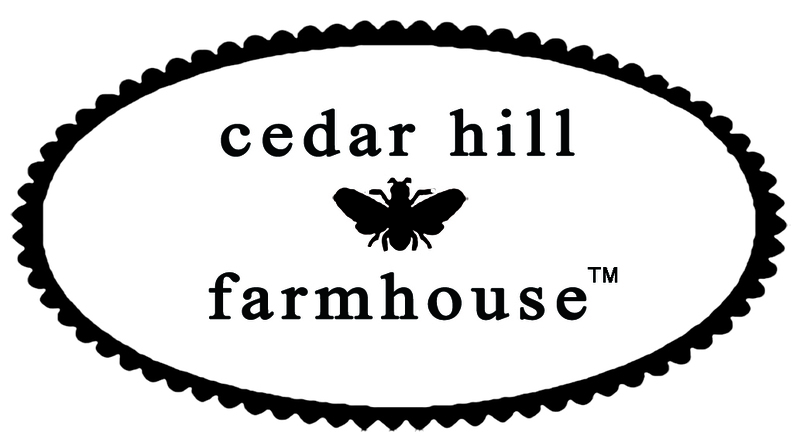 We are inspired by the Cedar Hill Farmhouse and its exterior color palette – Could you tell us the siding color and the trim color (especially the color of those columns)? CAN YOU PLEASE TELL ME THE BRAND AND NAME OF THE BRICK YOU USED ON YOUR HOUSE? Sorry i just saw the answer in another comment about the brick being Texas brick. Would you mind posting a picture of the entire front exterior of the house? Lauren, I don’t have any photos of the front of my house online. I just came across your blog on Pinterest. The exterior of your home is perfection! Would you mind sharing where you purchased your outside lanterns? Thank you! Lindsey, they aren’t on the internet. 🙁 Old school. Well they sure are beautiful. 😊 Thanks for getting back with me!